What Should You Look for in a Garage Builder? 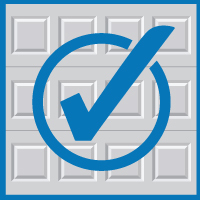 Blue Sky BuildersSkywriters Garage BlogBuilding TipsWhat Should You Look for in a Garage Builder? 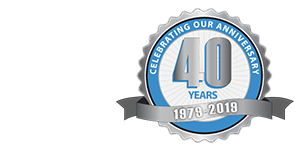 At Blue Sky Builders, we’ve been helping Chicago area homeowners to improve the value of their homes with custom garages for the past 35 years. We can attribute our success to satisfaction, in which we’ve earned an A+ rating from the Better Business Bureau and a 4-Star rating on Yelp. Part of our success comes with our ability to answer questions and manage expectations for customers, and with that, we’d like to share some of the common concerns, questions, and decision factors that go into choosing a garage builder. Ask your neighbors, ask the friendly folks at Yelp; if you’re willing to pay, ask Angie’s list. Check BBB ratings, and visit their social pages. Make sure that they’ve been good to their customers before and after the sale, and that if they use subcontractors, that those people have been effective. Common Criticisms on Review Sites: If you’re on Yelp, and realize that five, ten, or twenty people complained about the concrete, failure to adhere to a timeline, or pushy sales pitch, move on. Experience in Your Area: If you have a historic home or very specific needs, read up on whether or not they have expertise in that. Unresolved Complaints: Head over to the company’s social media profiles or BBB page. If there was an issue, what steps did they take to fix it? If a company has a history of success based on reviews, make note of it when you’re shortening your list. One of the best ways to judge a builder is by the company’s featured work. For instance, look through the gallery and past projects to see if they’ve built the style you’re looking for. When you select a company to construct your garage, said garage builder is going to be on your property for some time during the construction process. The first step to gauging the builder is to make sure that during the free estimate phase that the team that comes to your door is professional, courteous, and informative. Before choosing, ask if their insurance and licenses are up to date. Finally, discuss with the builder to a T what you want in your garage, because if something “wasn’t what you expected,” it may cause delays, which translate into higher costs. For more information, see how to choose the right size garage, and different types of garages. This couldn’t be emphasized enough. Never accept anything verbally, and get a detailed estimate of the costs. Also, your garage builder is responsible for cleaning up after construction is completed. These are just some of the tips that homeowners should follow when choosing a garage builder. You can never be too prepared, and if you feel that Blue Sky Builders is right for you, give us a call for a free estimate.